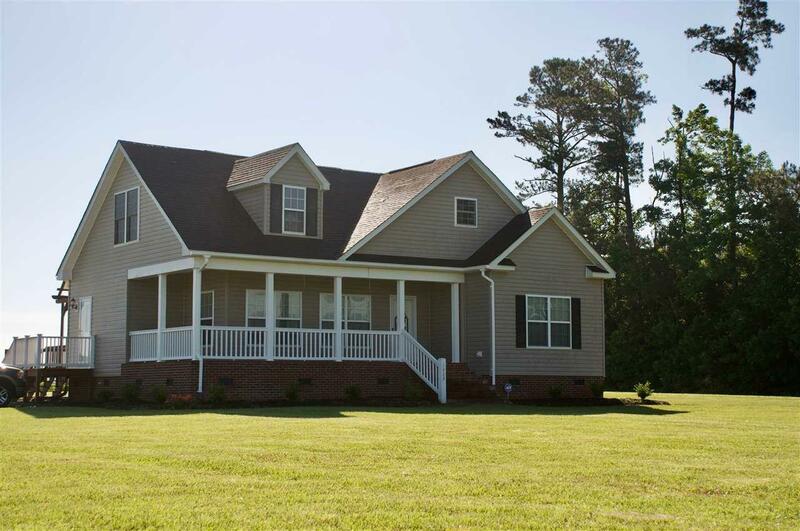 You will enjoy quiet country living in this 2100 sq ft., 3 bedroom, 2 full baths, 1 story home w/expandable 1300 sq. ft. upstairs on this 1.79 acre lot! The front foyer boasts a traditional medium tone wood floor & leads into the spacious great room adorned with white crown molding throughout. just a few steps away are two bedrooms & a full bathroom. The classic, white kitchen appliances & cabinets with brushed nickle hardware are well equipped with plenty of storage that speak with elegance, while the copper colored solid surface counter tops whisper luxury! Many more features, must see! Family Room Size 21.4 X 14. Listing courtesy of Carole Purser of Re/Max Coastal Associates.